While efforts to make buildings more accessible are underway in many places around the world, traveling with a wheelchair still presents a series of problems for wheelchair users on travel days and destination attractions alike. For some tips that will help make traveling with your wheelchair as easy as it can be, continue reading. Unless you are traveling to a remote destination, you should have several different hotels and guest houses to choose from. Narrow your options down by searching online for handicap accessible lodging only. Layovers annoy most travelers, but the loading and unloading of the wheelchair that is required at each airport makes layovers even more of a nuisance for individuals traveling with wheelchairs. Book yourself on direct flights whenever you have the option. Thoroughly inspect your wheelchair before setting off on your journey to ensure that it is in good working condition. Pay special attention to the wheels and connections. It is always a good idea to travel with a spare wheelchair, but leaving home with your primary wheelchair as a dud is not the best way to start your vacation or business trip. Passing through airport security often takes longer for individuals traveling with wheelchairs than those traveling without them. To ensure that you have enough time to comfortably check in, pass through security, and travel to your gate in advance of your flight’s boarding time, arrive at the airport at least two hours early. 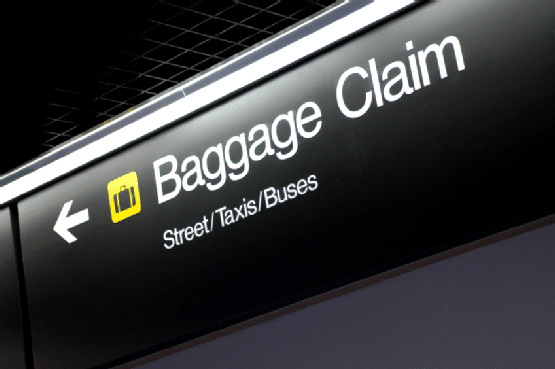 Checking your wheelchair with your checked baggage puts you at the mercy of the airport’s wheelchairs and wheelchair assistance staff. To use your own wheelchair up until boarding time, check it at the gate instead of at the check-in counter. When you plan ahead, traveling with a wheelchair doesn’t have to be all that bad. Having a portable wheelchair ramp can make the process go even more smoothly. To speak with an experienced supplier of high-quality wheelchair lifts and handicap ramps, call Williams Lift Company at (908) 322-7070.